I am a 4	month old, Spayed	Female, Domestic Short Hair. 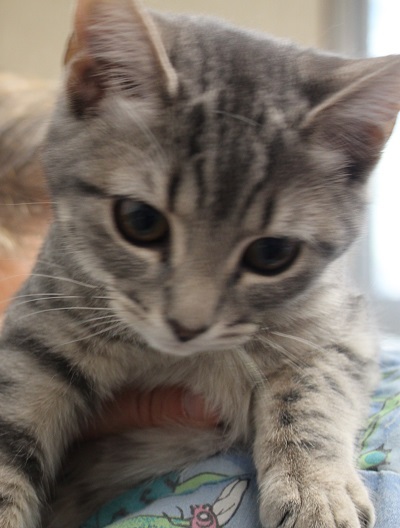 Silver Belle is a beautiful girl who loves to be held and told how pretty she is. This sweet girl also loves her toys!